Be honest. While watching Rogue One, you were really pulling for Wedge to show up during the Battle of Scarif. We all were. Red and Gold Leaders were there, so why not Wedge? Well, there’s a very good reason for it, one most of us likely didn’t think of. Which is why we don’t work on the Lucasfilm Story Group and they do. Over on Twitter, story group member Pablo Hidalgo explained that Wedge couldn’t have been at Scarif because he’s never seen the Death Star before A New Hope. Where’s that coming from? A very familiar place. Yup, that line at 2:15, “Look at the size of that thing,” was the line Story Group was protecting. It obviously implies Wedge had never seen the Death Star before. And since the Death Star shows up at Scarif, he couldn’t have been there. Now, there’s also the little matter that director Gareth Edwards got lucky and found unused Red and Gold Leader footage from the original shoot of A New Hope and there wasn’t any Wedge footage lying around. But, even if there was, Edwards likely wouldn’t have been allowed to use it because of that line. Wedge is around though. We know so because we’ve seen him before, and after, Rogue One. The after you know. You see it above. The before you may not. Earlier this season on Star Wars Rebels, a whole episode was dedicated to Wedge defecting from the Empire to the Rebellion. So he is a part of the Alliance at that point. 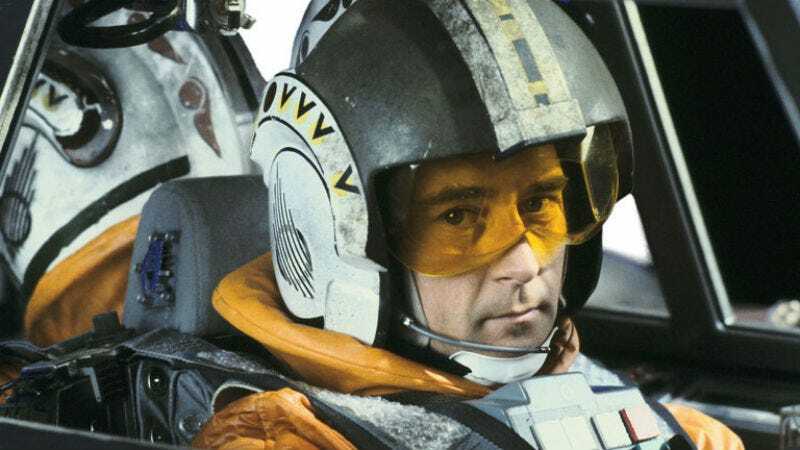 However, according to Lucasfilm sound designer Matthew Wood, Wedge stayed on Yavin 4 to talk to flight personnel and direct them to Scarif. The fact he knows this could suggest that, whenever the Rebels story catches up to Rogue One, we may see animated Wedge back at the base, closing the case on that burning question.